Rev. Edward C. Anderson, CSV, died Aug. 14, 2016 at Life Care Center of Paradise Valley in Las Vegas, Nevada, at the age of 94. 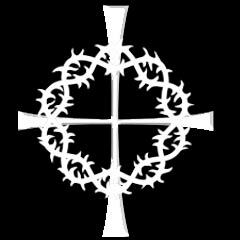 He was preceded in death by his parents, Edward and Catherine (O’Shea) Anderson. Fr. Anderson graduated from Peekskill High School in New York 1936. He joined the Clerics of St. Viator in 1944 and pronounced his first vows on Aug. 16, 1945. He professed perpetual vows on Aug. 15, 1948 and was ordained a priest on June 6, 1950 in Washington DC by Archbishop Patrick O’Boyle. Fr. 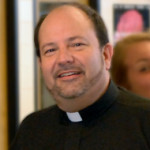 Anderson received his undergraduate degree in philosophy from DePaul University in Chicago and his master’s degree in education from the University of Illinois, before earning his licentiate in sacred theology from Catholic University of America in Washington DC. Fr. Anderson began his teaching ministry at St. Joseph School for the Deaf in New York City, NY (1945- 1950). After ordination, he taught at Stepinac High School in New York City, NY (1950-1954), Spalding Institute in Peoria (1956-1957), Cathedral Boys High School in Springfield, IL, (1957-1959) and at Alleman High School in Rock Island, IL (1959-1966). In 1966, he advanced to educational leadership and served as principal of Bishop Gorman High School in Las Vegas until 1969. On April 8, 1969, Fr. 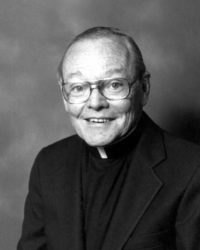 Anderson became the first “elected” provincial of the Province of Chicago, leading the congregation during the tumultuous years after Vatican II, from 1969-1974. After his term as provincial, he returned to Las Vegas as assistant pastor and then pastor of St. Viator Catholic Community (1976-1980). In 1983, he was assigned as rector of Guardian Angel Cathedral in Las Vegas where he served until his retirement in 1990. Fr. Anderson continued to reside in his adopted hometown of Las Vegas until his death. Visitation was held from 9:30-11 a.m. on August 20 at St. Viator Catholic Community in Las Vegas, followed by a Mass of Christian Burial. Interment was at Davis Memorial Park in Las Vegas. Please remember Fr. Anderson in your Masses and prayers.